Though the two newest releases from Ressha Sentai ToQger have only just hit the market (Car Carrier Ressha & Tank Ressha) the third piece of puzzle is about to fall in place! Pre-orders recently went live at site sponsor BigBadToyStore for the DX Diesel Ressha & DX Diesel Oh 3-Ressha set. 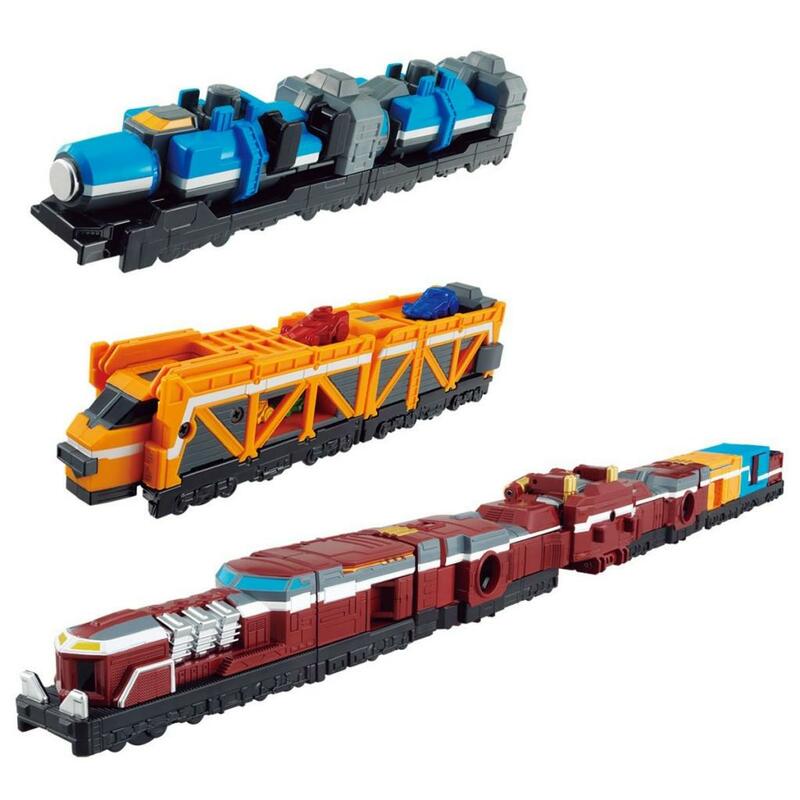 And today Bandai of japan released official images of the complete DX Diesel Oh set! 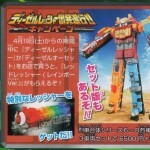 Check them out after the jump by clicking “Discuss on the TokuNation Forums” at the bottom of this post. I like the look, I think. But there seems to be even less articulation than ToQ-Oh has. 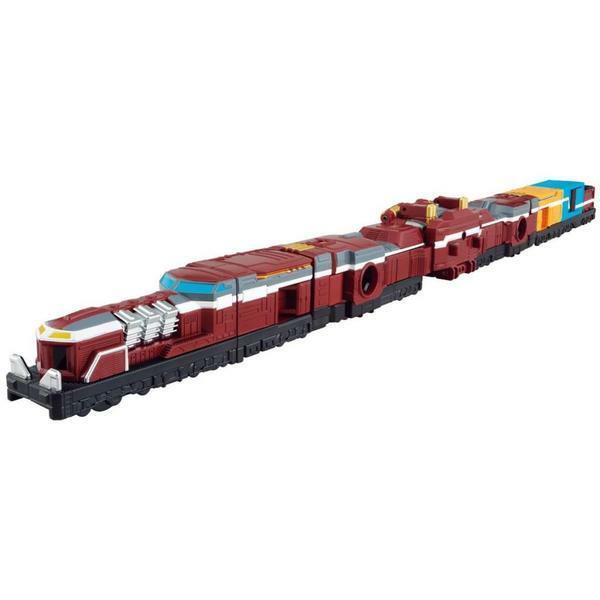 What's with the rainbow Red Ressha? EDIT: Can anyone translate a release date for this big boy? 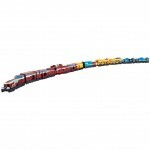 He looks like a brightly painted cardboard model. Still like it though. Looks awesome, but what I want is that rainbow Red Ressha. 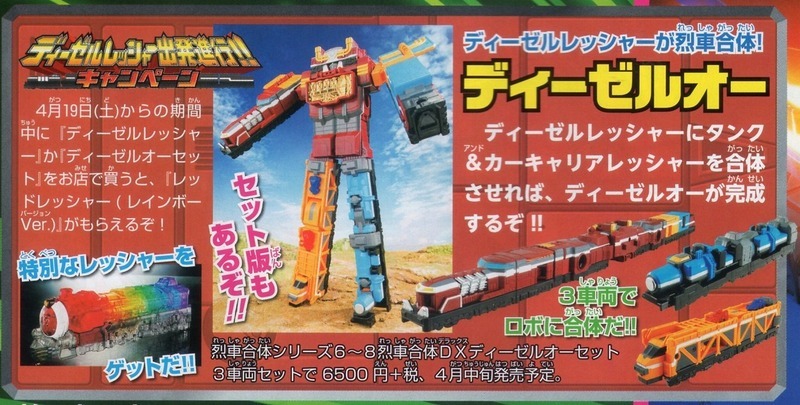 It'd be cool if the inevitable translucent Minipla ToQoh had the same rainbow plastic as that Red Ressha. The Rainbow Ressha is apparently a bonus for JP retailers to include with the Diesel Oh set. Wait...that is actually what it looks like? 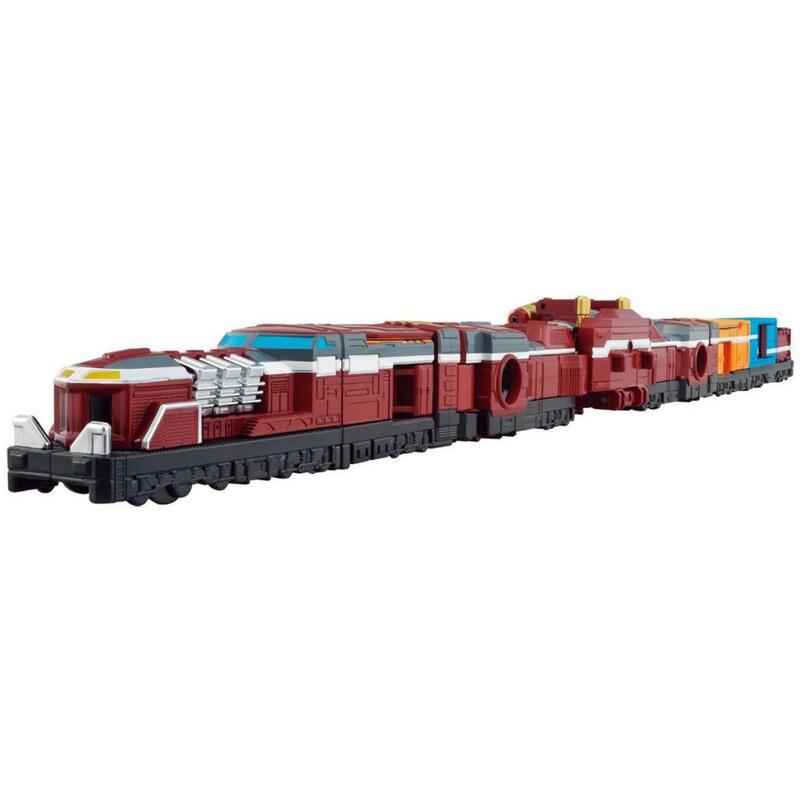 Well it will take a whole to get used to but thus far I like it, and that Ressha. Damn, already got Car Carrier and Tank, no rainbow nightmare resha for me! Release date is around the 18th I think, might be the 25th. I know its back end of the month. 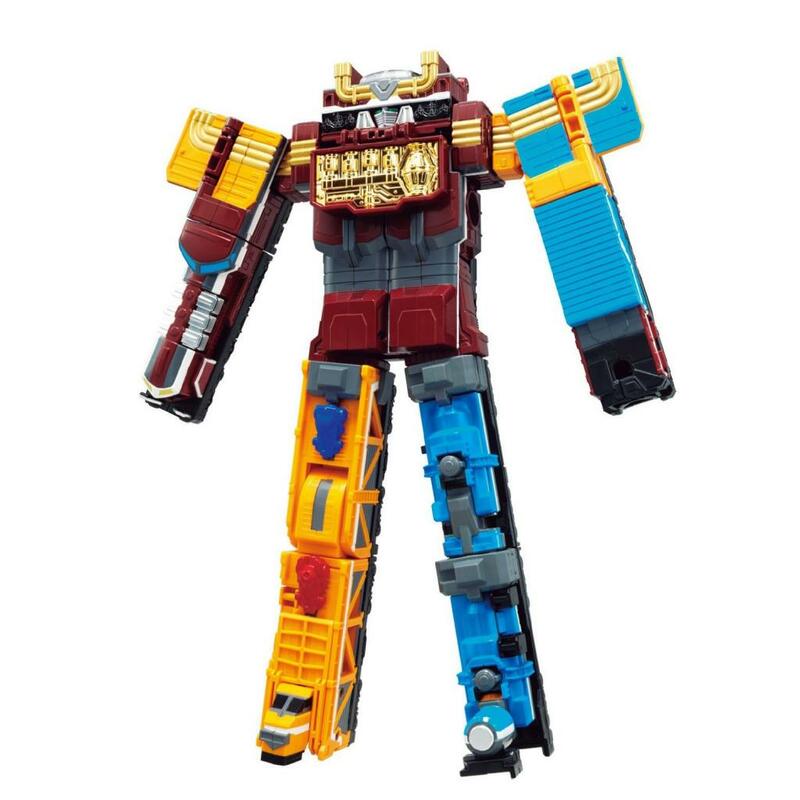 Not the greatest looking mecha, but like all of the Go-onger mecha, its not about the individual robots, its all about the clusterf*ck combination along the way (and at the end). 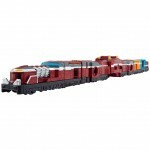 Plan on picking up Diesel soon as it hits Mandarake, maybe ebay. Must have either way!